Powered by pure brass, this is a loud and punchy crash cymbal that is perfect for accenting. Your very first step into cymbals is a big one. But the Sabian sbr makes it easy. 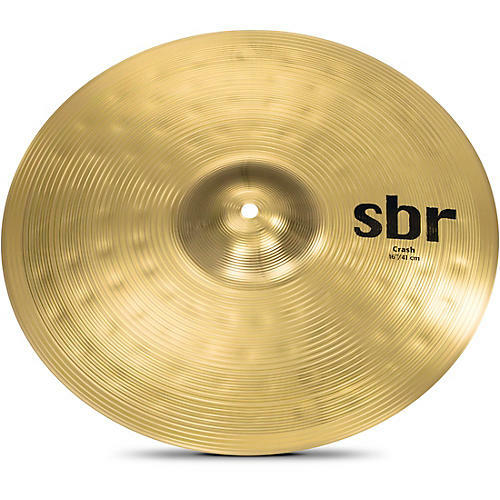 With its hammered and lathed surface and tightly focused sounds of pure brass, this sbr crash cymbal comes at a very nice price. Stamped with the Sabian logo, the looks and sounds of this series put it in a class of its own. The Sabian sbr line represents brass cymbals at their finest.